Several regions in the Philippines are now faced with a measles crisis, with outbreaks in Metro Manila, Central Luzon, CALABARZON, Western Visayas, and Central Visayas. According to the World Health Organization (WHO), this is due to the country's low and declining immunization rate. From over 80% in 2008, it fell to below 70% in 2017 and possibly even lower in 2018, made worse by the Dengvaxia scare. One cannot help but recall the successful immunization campaign against polio of the late former Health Secretary Juan Flavier. His campaign resulted in the WHO declaring the Philippines as polio-free. That success was achieved via an effective social marketing campaign, as well as support from several business firms, such as Jollibee Corp., whose fast-food restaurants served as 'patak' centers, and civic organizations like Rotary. The government, business sector, and ordinary citizens now have to work together in restoring confidence in vaccines. Everyone should help increase the immunization coverage to 95% among children so that the community will be protected against measles. 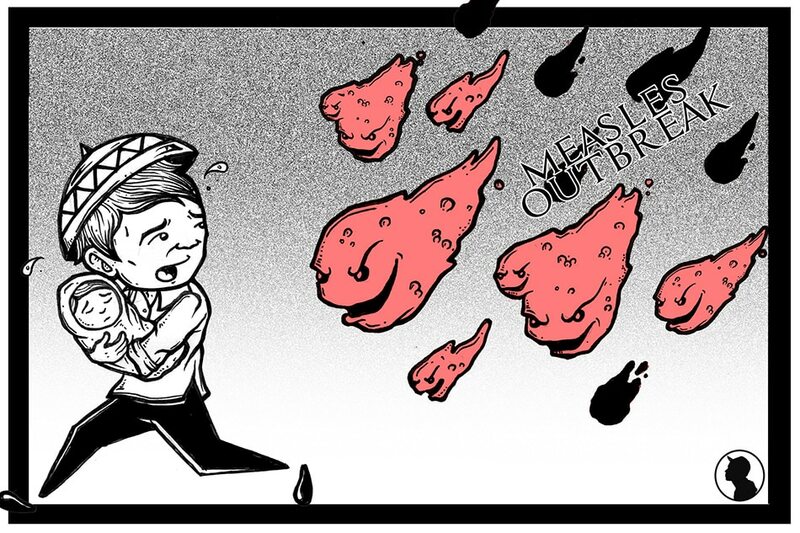 If the country was able to do it then, we can do it again in the fight against measles. As Flavier used to say, "Let's DOH it."